For techies like ourselves, CES is the Greatest Show on Earth (P.T. Barnum, eat your heart out). So trust us when we tell you these are the things from CES that you don’t want to miss. You’ll thank us later. If you don’t have a problem with a robot showing you up with its perfect rhythm and choreography, then you should really enjoy the mRobo. It’s a speaker...that’s really a robot...that can really dance. You aren’t stuck to a couple bland routines, either: You can program it to do whatever moves you want it to, as well as download other dance routines from other mRobo owners. It will be available for $199 and is expected to come out sometime later this year. 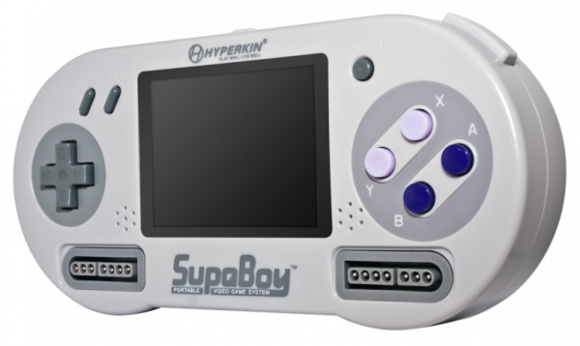 If you long for the days of playing Super Nintendo with your face plastered to the TV screen, you’ll love the SupaBoy. It’s an actual Super Nintendo chipset crammed into a handheld design that resembles an oversized SNES controller, and it'll even work with your old game cartridges. I features an AV out port, so you can plug it into your TV and attach two controllers and use it as full-fledged Super Nintendo. You can pick one up right now for around $80. One thing that stood out at CES was the Displair touchscreen, which features a screen made up of tiny water droplets. These water droplets are shot into the air by a continuous stream of compressed air to create a sheet onto which a projector can display an image. The cool part is that the image that appears to float in front of you is responsive to your touch. The image isn’t perfect ,though, and gets noticeably more blurry the higher up you look. The Displair costs $10,000, so it might only make sense in lobbies or spaces where lots of people can enjoy it. Just like vacuuming, cleaning windows has never been an enjoyable task. However, the great minds of the world have created robots specifically to combat dirt and dust, and our distaste for the time-consuming task of cleaning it up. 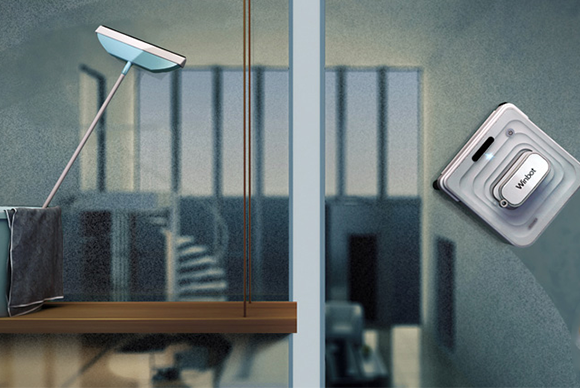 Ecovacs brings us the Winbot 7, a window-washing bot that uses suction to stick to your windows while it cleans them completely. It can get in all the hard-to-reach, high-up spots, or just take the chore out of cleaning large panes. Winbot 7 is set to go on sale in the spring, and will be priced between $299 and $399, so you may want to consider the cost of a bottle of Windex and 20 minutes of your time first. When you work in an office full of your peers, it’s important to have some sort of offensive weapon, and probably something to shield yourself with as well. At least that’s the way we do things , which is why the iThunder Launcher and the iStrike Shuttle seem like a perfect fit for desktop warfare. With both an aerial assault and remote missile strikes from wherever you want, you’re sure to get an edge in the office—until somebody starts chucking ereaders, anyway. Both the iThunder Launcher and iStrike Shuttle are available now, so you won’t have to turn to the black market if you don’t want to. They will cost $130 and $90, respectively. 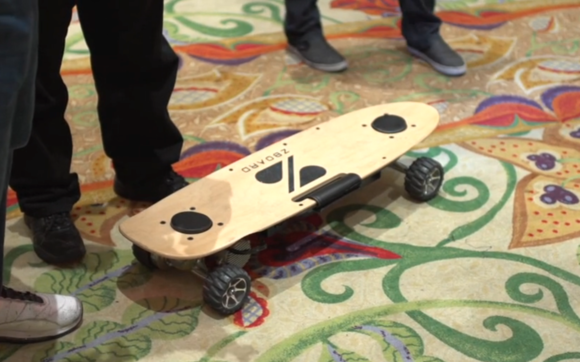 Manually operated skateboards are so last decade; today's kids are all about motorized ones. In either case, the ZBoard comes with a 400-watt electric motor that can propel you along at speeds of up to 17 miles per hour depending on the model. The ZBoard comes in two models—a Classic and Pro model—and it weighs between 28 and 35 pounds, respectively, which makes it less than ideal to take to your nearest skate park. They're not cheap, either, ranging in price from $650 to $950. Giant mecha robots might be a long way off, but if you want the thrill of battlin' robots without the property damage, check out Combat Creatures. 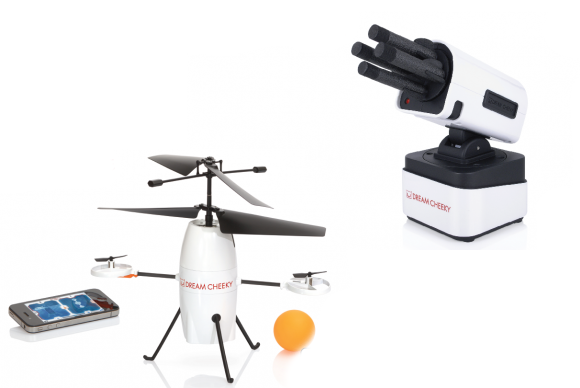 Combat Creatures will bring its remote-controlled Attacknids toy robots from the UK to the US this fall, and they should cost under $100 each. Before there were smartphones, consoles, or arcade machines, there was pinball. As old-school as pinball is, Stern's pinball machines were of of the highlights of this year's CES. Stern showed off both commercial models for use in arcades, as well as personal models that you can get for your own home. The personal pinball machines are more compact than commercial machines—but still have a full-sized play area—and they cost around $2500. It might make your game room the envy of the neighborhood. If your green thumb isn't looking so green, check out the Flower Power, a little device from Parrot (yes, the AR Drone guys) that can help you keep your houseplants from dying. Set up the Flower Power using a dedicated iOS app then stick it into your pot, and it'll keep tabs on soil moisture and salinity, room temperature, and ambient sunlight to make sure your plant has everything it needs to flourish. Price and release date has yet to be determined, but it should be out sometime this year. Here's hoping your houseplants make it until then. Do you feel like Lego sets are cooler now than they were when you were a kid? If so, you're probably onto something. The new Mindstroms EV3 platform from Lego comes with all sorts of advanced capabilities, such as an infrared sensor, Linux-based firmware, USB connectivity, an SD card slot, and more. And thanks to a new app for Android and iOS, you'll be able to remotely control your creations from your smartphone. The only downside? it won't be available until the second half of 2013, but if you have a Mindstorms NXT or NXT 2.0 set, the EV3 line will work with your existing Mindstorms kit. Sets will cost $349.